The great English poet, author, and conversationalist, Dr. Samuel Johnson, is believed to have had Tourette syndrome, complete with both facial and vocal tics. His towering success in his day — before useful medicines had been developed – can be an inspiration and encouragement to today’s families living with Tourette. Tourette syndrome is named for Georges Gilles de la Tourette who first described the condition in 1885. Tics (involuntary, non-rhythmic movements) are the hallmark of the disease. Brain scans and EEGs show differences in the brains of children with Tourette’s. These changes are influenced by genetics, neurobiology, and by what is going on in the child’s life. Gilles de la Tourette syndrome affects about one out of every 2,000 people. Tourette syndrome occurs worldwide, in all ethnic groups – though it is most common among whites. The condition usually runs in families. It is three to four times more common in boys than in girls, and usually begins before the age of seven. Tics are the classic symptom of this condition. In many children, these are so mild as to hardly be noticed. In others, the tics are severe and intrusive. Motor tics are most people’s first symptoms. These may be simple, sudden, involuntary movements such as eye blinking, facial grimacing, lip licking, or fist clenching. They may also be more complex tasks such as chewing a shirt, hopping, or clapping. Whatever the movement, it is outside the child’s control – although this is often followed by a voluntary movement in an attempt to disguise the tic. Vocal tics can also be a symptom of Tourette. They are also outside of a child’s control. Grunting, throat clearing, sniffling, hissing, clicking, whistling, and barking are simple vocal tics. Coprolalia, the involuntary speaking of obscenities, is a complex vocal tic, and the most famous symptom of Tourette syndrome. Echolalia (the compulsion to repeat words that are heard), and palilalia (the compulsion to repeat one’s own words) can also be Tourette’s symptoms. Physical exertion, intense concentration, and sleep all suppress the symptoms of Tourette syndrome. I know a delightful man with Tourette who is very successful as a professional drummer (without medication). Emotional stress, on the other hand, brings out the symptoms. Children with Tourette also have a higher risk of other problems, such as obsessive-compulsive disorder. 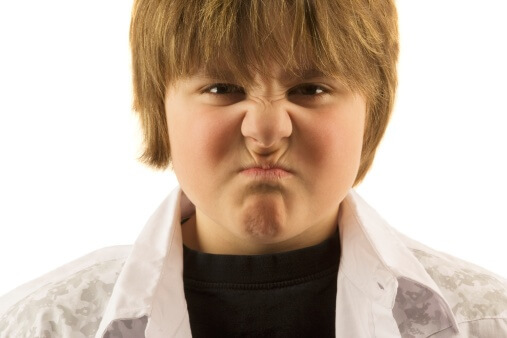 Tourette can be triggered by some infectious diseases, such as Lyme disease or strep. PANDA (Pediatric Autoimmune Neuropsychiatric Disorder) is the name given when antibodies to streptococcal infections trigger the symptoms. How long does tourette syndrome last? For most, Tourette is a lifelong condition. Thankfully, most have a significant decrease in their symptoms over time. Tourette is often suspected based on the history and physical examination. Sometimes brain scans, EEGs, or neurotransmitter levels are used to clarify the diagnosis. If there is any possibility of recent strep or Lyme disease, tests for them should be run, because specific treatment may be necessary both now and in the future. A number of medicines have been very successful in controlling the symptoms of Tourette. These each have some side effects, and may not be used if the Tourette isn’t interfering much in everyday life. However, when the Tourette is very troublesome the medicines can be wonderful. If strep or Lyme disease are identified, they must be treated aggressively. Other types of support may also be important for the child with Tourette. How can tourette syndrome be prevented? Usually, Tourette syndrome is difficult to prevent. Lyme disease is generally preventable. Measures to prevent Lyme disease or strep may be helpful to reduce the risk of Tourette syndrome. In the last few years, researchers have discovered some clues about the genetics of Tourette syndrome. In 2005, researchers from Yale University identified a genetic mutation present in some patients with Tourette syndrome. Clearly, more research is needed to determine the genetics of this condition and the potential for gene therapy.